Your style, your budget. Interior design at your fingertips. Why Costa Rica, you might wonder. Because Costa Rica has it all: miles long pristine beaches, white sand, calm bays with crystal clear water, endless summers, exotic plants, tropical animals, and amazing surf spots. Who would not want to live it this paradise on earth? But if you cannot bring your home to Costa Rica, you can certainly bring Costa Rica to your home. 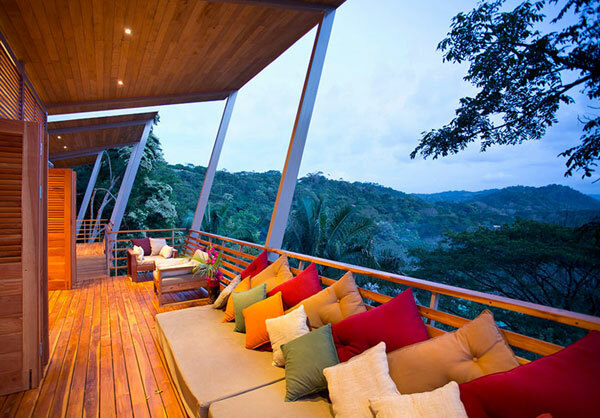 Costa Rican lifestyle is all about comfort and relaxation. And the timeless tropical home décor lends this vacation-style appeal to any space, be it a beach condo in exotic Tamarindo, or a two-bedroom apartment in downtown Boston. This short guide will help you choose the right elements in order to achieve this appeal. Nature is always a great source of inspiration, but this style particularly draws from it in terms of colours. When you picture Costa Rica in your head, all you see are the sky, the sea, and vegetation. The sea provides a range of watery blue hues, with teal being perhaps the most typical Caribbean colour, while the lush rainforests are painted in all imaginable shades of green. Let us not forget the golden tones of sun-drenched sandy beaches. 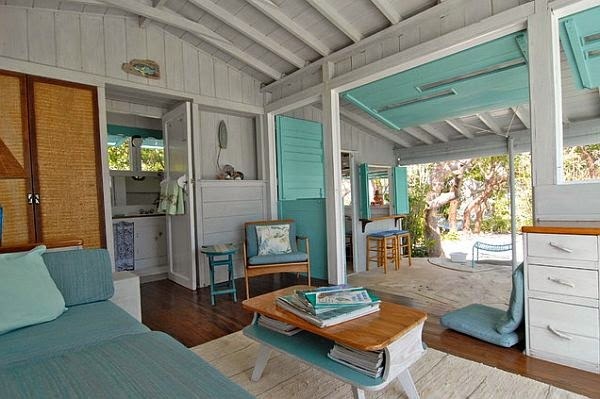 There is no limit as to where and how you can incorporate these colours into your home. You can splash a coat of seafoam green on the walls, or place a few turquoise throw pillows onto your living room sofa, and it will all certainly fit in. Why just imitate nature in your home when you can bring it inside? Nothing evokes a rainforest like large and luminous potted plants. The more of them, the better. You cannot go overboard here. Palms are the most logical choice, of course, but anything with rich green foliage and vivid flowers will have just as strong tropical effect. Think aspidistras, anthuriums, dieffenbachias, amaryllises, and ficus trees. If you are not very good at keeping houseplants alive, framed dried palm leaves will make an excellent focal point on your walls, just as banana leaf patterned wallpapers will. For an added touch, place a bowl of fresh citrus fruits on the kitchen table. The use of natural materials is a must in this case. 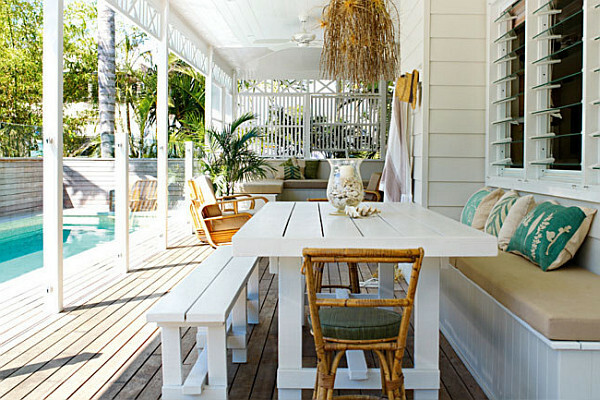 Rattan, wicker, and bamboo instantly bring the coastal feel to any interior. They can be used both in your living room and on the porch, which makes them perfect for the indoor-outdoor lifestyle of Costa Rica. Of course, your can go with oak and birch, but better stick to something more native, such as teak. Feel free to combine different types of wood and do not worry about mismatched furniture, since tropical style is essentially eclectic. Browse online photo galleries of Costa Rican’s homes to get inspiration from the original source. After checking out their properties, you might decide to bring your home to Costa Rica sooner then you think. Vivid colours, geometric patterns, and layers is what distinguishes boho style, and this is precisely what you need in your Costa Rica-inspired home. The best thing about the bohemian interior is that it is affordable and easy to copy. Mix reused furniture, old books, retro rugs, and vintage lampshades, and you will create a boho-style space. These can be hand-me-downs from your family members, or something that you bought at an antique store or a flea market. Put the emphases on natural light and open spaces. 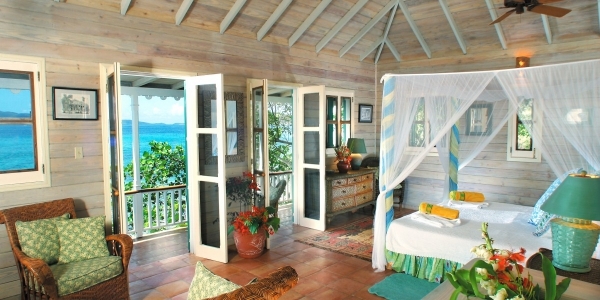 Just picture a mosquito net draped over a canopy bed and sunlight streaming in through fluttering thin linen curtain. If you have old roller blinds, replace them with rattan blinds or Bermuda shutters (in bright colours, naturally) if possible, and keep the windows thrown wide open at all times to let the sunlight and breeze in. Also, ditch heavy curtains in favour of lightweight ones. Bring the outdoor in by installing sliding patio doors, if the local climate allows it. 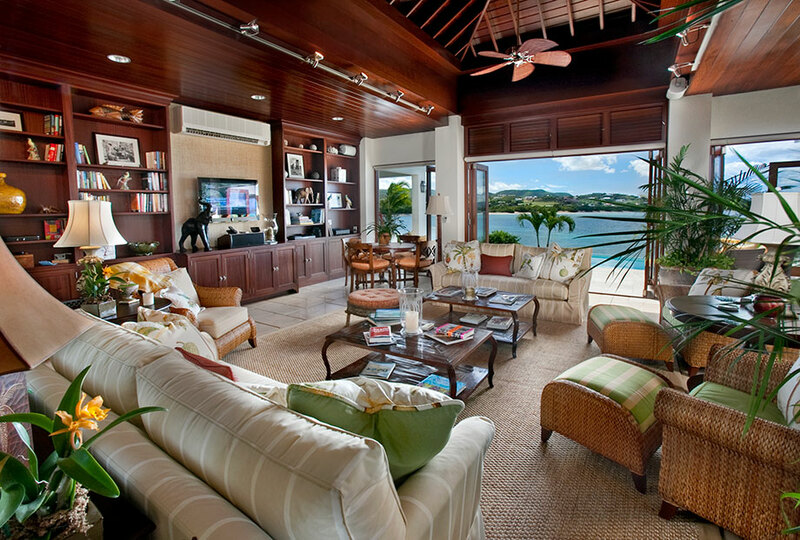 What other elements would you include in your Costa Rica inspired home? Author’s Bio: Lana Hawkins is a crafty girl and student of architecture from Sydney. She writes about inspiring interiors and landscaping ideas. She is interested in sustainability and green décor, and that’s where she gets the most of her inspiration from.